A civil litigation lawyer specializes in a variety of areas such as personal injury, employment and family law, and so much more. If you are someone who likes to have all their bases covered, this type of lawyer will be like your best friend. Read more to find out why you should hire a civil litigation lawyer today. If you are dealing with some kind of a civil dispute where you and the other person involved can't come to an amicable agreement, one or both of you may decide it's a battle best fought in court. This way, an impartial judge or jury can make a decision. Of course, the decision making only happens after you've both told your sides of the story and presented your supporting documents or evidence. There is one important component missing in this scenario. The civil litigation lawyers that are representing each client. You might think that if your case is simple obtaining representation is a waste of money. But that thought process is very wrong. A civil litigator can actually help you save on costs and fees in the long run. You should always increase your likelihood of winning by hiring a civil litigation lawyer. Continue reading this article and we'll explain why. There are over a dozen types of lawyers. They all specialize in different aspects of the law. So, it's fairly easy to mistake one profession for the other or to simply not understand one's specific services. But if you need a lawyer, knowing which type will best serve you will help you attain the right professional sooner than later. Not only that, statutes of limitations still play an important role. So, you shouldn't ever waste time while that window shrinks. Civil litigation lawyers have exceptionally diverse roles which may cause them to work extra long hours. This is especially true during a trial. They work as their clients' advocate and do what they can to try to obtain the best possible outcome for him or her. You won't typically find a civil litigator who personally tries all these types of cases. Most lawyers will specialize in one or two. They may even refer you to a colleague at their firm if they can't work your case. And What is Civil Litigation? Civil Litigation is when two or more people are involved in a legal dispute where one or both feel they are entitled to money or a specific object. Neither party is considered a criminal in a civil litigation, but they can still have to have a trial where they can end up on the witness stand and have to testify under oath. In these trials, either a judge or jury will make a deciding decision. The lawyers who specialize in such disputes can also get referred to as litigators or trial lawyers. They represent their clients for various proceedings through the case. Including pretrial hearings, arbitration, and mediations. There's a reason average people don't act as their own surgeons, plumbers, and architects. To be good at most jobs, you have to go through a certain amount of training. But the more real-world work experience you obtain, the more skilled you will become. Most people also don't know enough about the law to go to court or attend a hearing without a lawyer present. The law has man loopholes that are sometimes even difficult for professionals to navigate. Want more details about why hiring a civil litigation lawyer is in your best interest? You're probably wondering how a lawyer can save you money when the hiring of the lawyer itself can become rather expensive. Your lawyer can save you money in fines, court costs and penalty fees. And depending on the type of case they're representing you in, think a divorce or landlord/tenant dispute, winning the case can mean you don't have to pay the person your fighting with or you have to pay them less. Civil lawyers spend a great deal of time coaching their clients on how to speak in court and there's a reason for it. When it comes to trials, there is such a thing as speaking too much or speaking too honestly. The majority of people who don't have a background in law don't see it. But that's one of the things that lawyers specialize in. Your lawyer will go out of their way to keep you from incriminating yourself while you might not be aware of such wrongs. 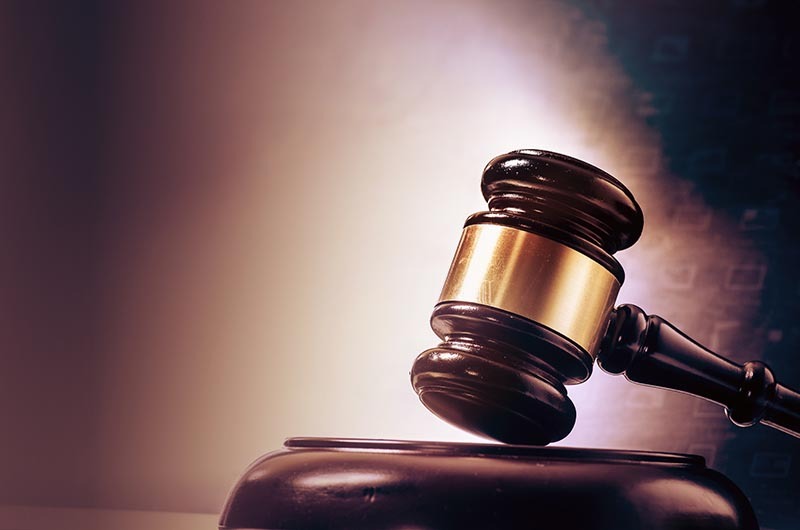 Obtaining representation from a civil litigation lawyer will increase the odds of things running smoothly throughout the duration of your case. And if something does go wrong, you will have someone in your corner with specialized training that goes beyond your level of expertise. Your civil litigator will also know how to understand complex contracts and other paperwork the average person would struggle with. They will train you on how to speak in court including a lesson in what to avoid saying. Settling a spousal support case is almost always guaranteed to be a steep, uphill battle. And it doesn't become easier depending on the side of the battle you're on. Having an experienced civil litigator by your side can determine whether you do or do not have to make a payment. Just as it can determine whether you will or will not receive one. If you're already on a tight budget, spousal support can make or break you financially speaking. This can become especially frustrating if you have a child to care for. Yes, you can represent yourself in court, but the majority of the people who do it regret it. This even includes lawyers. Acting as your own representation case put you in a situation where you're literally too close to the case. Most civil disputes turn into lawsuits because one or both parties were stubborn and inflexible. Because most people aren't able to bend and negotiate when it comes to their own problems, it's always best to have a real lawyer with you. Not to mention, emotions can seriously cloud your judgment. Occurrences of discrimination or sexual misconduct rarely ever happen in an easy to prove way like in writing or on videotape. Which means you'll need to have the expertise of a civil lawyer to put a solid case together. Companies and employers who receive cases such as these spare no expense when it comes to locking down legal representation. To be accused of one of these crimes can ruin not just the business person's reputation, but the brand's too. Business owners know that consumers often stop buying products or services when bigotry and misconduct come up. So, if you're filing this type of civil suit, you need a civil litigation lawyer who will fight for your rights and won't fall for intimidation. Your civil lawyer will know all the ins and outs of court procedures, which there are a lot of. Following these procedures is almost as important as knowing how to correctly argue a case. You have to be realistic when deciding whether you're going to hire a civil lawyer or represent yourself. A judge won't give you a pass on not abiding by the rules because of your lack of experience. Additionally, you can't really ask for help in the middle of the trial or use a life-line to call someone. The judge or court staff are not there to help you. If you were to get into a car accident, for example, chances are you will be too rattled in the beginning to think clearly about what's to come next. And soon after the accident is when you need to know to start collecting evidence to build a strong case. If you're the injured party, a civil attorney will advise you to take photos of injuries early on before they've healed because of course, the worse an injury looks, the better it will do for your case. You will also need to begin tracking things like pain and suffering, medical bills, and time missed from work early on. Your attorney will also be able to tell you how much money certain injuries and emotional strain can be worth in a case like this. Meaning, you won't settle for a lesser payment than what's deserved. If you are on the opposite side of a personal injury case, a good personal injury lawyer will keep you from getting sued for more than you can afford. And if you aren't wrong in the case, they can prevent you having to pay anything at all. If the other person that's involved in your civil case has a lawyer, that lawyer will take advantage of you as much as they can. Your lack of experience will be used against you to make you look like you are not credible. The opposing lawyer can fight dirty to make you incriminate yourself or leave you paying their client more money than the case may have even been worth. Going to court without representation will not necessarily earn you any sympathy with the judge either. When you hire a civil lawyer, their experience is the best tool you'll have at your disposal. Laws can change often which make them complicated. Plus, navigating the courtroom is not as easy or fun as it might look on television. A subtler side of a lawyers job is setting the case up for appeal in case you lose. There job is to advocate your best interest and to make the best case possible for you. More importantly, your lawyer knows how to file court documents, recognize unfair treatment or bias from a judge. They also know the regulations pertaining to deadlines and the usual protocol for submitting paperwork. Your lawyer may even have a paralegal or articling studenthelping with these things which also works in your favor. This way, they're able to spend less time filing paperwork and more time advising you. Civil litigation is often divided into several stages. Although not every case will reach each stage, they are still worth noting. Lawyers usually spend the bulk of their time in the discovery state. This is where information that's pertinent to the case is most likely to be discovered. The means of discovery can include interviews, questioning, interim court application, and subpoenas. Questioning (formerly Discoveries) mainly involve asking questions that must be answered truthfully under the penalty of perjury. While subpoenas are essentially legal demands for data or documentation that can help a case. The vast majority of cases do not make it to the courtroom. In fact, they are usually settled through conversations between the lawyers and their clients; often on the steps of the courthouse minutes before the trial begins. It is, however, still possible to settle a case even during an active trial. This can take place even after the Judge has begun deliberations or delivered its verdict. Lawyers try to keep cases from going to trial as a strategy - especially if they do n0t predict a trial giving their client a good, solid win. Cases that do go to trial can take several months or several years to resolve. Choosing a civil litigation lawyer to represent you in your civil case can be a daunting task. However, it's an important one that should be well thought out and researched. We have a proven track record of working hard to get the best results for our clients as quickly a possible. Don't wait until it's too late. Contact us today and let's start strategizing. This entry was posted in civil litigation lawyer by verhaeghelaw. Bookmark the permalink.